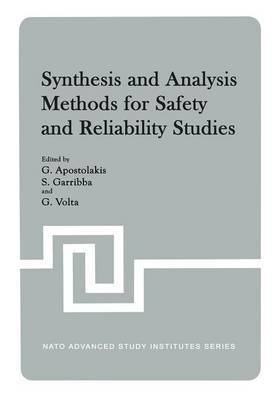 This book originates from the NATO Advanced Study Institute on Synthesis and Analysis Methods for Safety and Reliability Studies held at Sogesta Conference Centre, Urbino, Italy, 3-14 July 1978. The Institute, co-directed by Prof. E.J. Henley and Dr. G. Volta, was attended by 67 persons from twelve countries. The focus of the Institute was on theoretical and applied aspects of reliability and risk analysis methodologies. The Institute was composed of lectures, workshops and gu~ded discussions. From the large quantity of written material that was used and produced during the Institute, a number of papers introducing the most relevant research results and trends in the field have been selected. The papers have been edited, partly rewritten and rearranged in order to obtain in the end an integrat- ed exposition of methods and techniques for reliability analysis and computation of complex systems. The book is divided into four sections which correspond to fairly homogeneous areas from a methodological point of view. Each section is preceded by an introduction prepared by the Editors which aims at helping the readers to put in perspective and appre- ciate the contribution of each paper to the subject of the section.